Chuck Perlow is Chairman of McKnight Realty Partners and President of Perlow Investment Corporation, responsible for the oversight and management of a diverse portfolio of stocks, bonds and real estate. The real estate portfolio has included numerous commercial properties such as hotels, office buildings, shopping centers, apartment complexes and restaurants. Previously, Chuck was Senior Vice President and General Counsel for Interstate Hotels Corporation. Chuck holds a B.A. from the University of Michigan. He is a graduate of the University of Pittsburgh School of Law and earned his LLM from New York University. 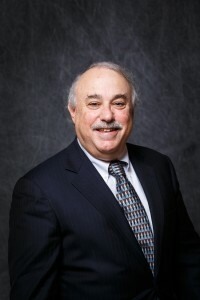 Chuck is active in a number of community service organizations and currently serves in numerous leadership positions on the boards of local and national charities, hospitals and educational institutions.